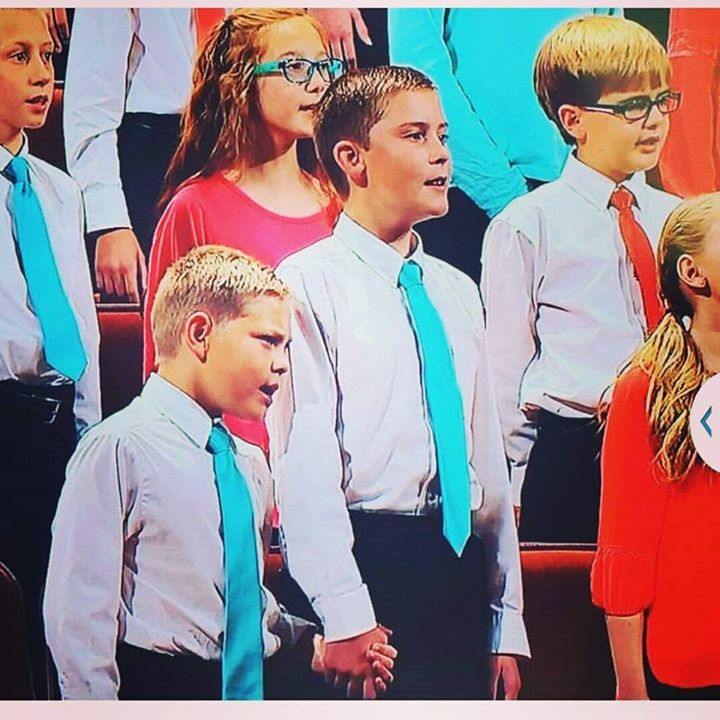 SALT LAKE CITY — As a group of Primary children sang at the LDS general conference Saturday afternoon, two brothers stood with them, holding hands. Facebook user Kristy Medina posted a snapshot of the touching moment online and explained the younger brother walks with a walker, but she sees him pressing forward at school with a smile. “I often find courage to press forward on my own journey when I see him pressing forward on his,” Medina wrote on Facebook. According to the boys’ mother, Amber Nelson, Medina is a mother at her sons’ school. Nelson said her 10-year-old son, Wyatt, has cerebral palsy, and this is typical behavior for him and his brother, 11-year-old Bridger. “It’s just kind of how they’ve always been, that’s just how their relationship is,” Amber Nelson said. Wyatt can stand and walk on his own for short periods of time, but struggles with balance. During General Conference, Bridger stepped in to steady him as they were singing in front of thousands of members of The Church of Jesus Christ of Latter-day Saints worldwide. “Bridger is just so kind to Wyatt, he helps him with whatever he needs, and it’s just kind of his nature, he’s always been that way ever since he was little … it’s just sweet to see them being kind to one another,” Nelson said. Nelson said it warms her heart, and other people have said how sweet it was to see the brothers love each other. This entry was posted in What we believe and tagged Act of Brotherly Love.